Hot on the (cow?) heels of Jus’ Caribbean at Clapham Common, Caribbean Food Week (21 28 August) will be bringing the tempting aromas of the islands to Windrush Square, in the heart of Brixton, on Friday 25 and Saturday 26 August. Caribbean chefs will be demonstrating their skills on stage and sharing top tips with visitors looking to cook Caribbean-style at home. Plus there’ll be street food, a Caribbean market and live music. If you miss the Brixton bonanza, don’t worry: Sainsbury’s is going all jerk on us too, bringing its own celebration of Caribbean food to selected stores, highlighting familiar brands such as Dunns River and Grace Foods. 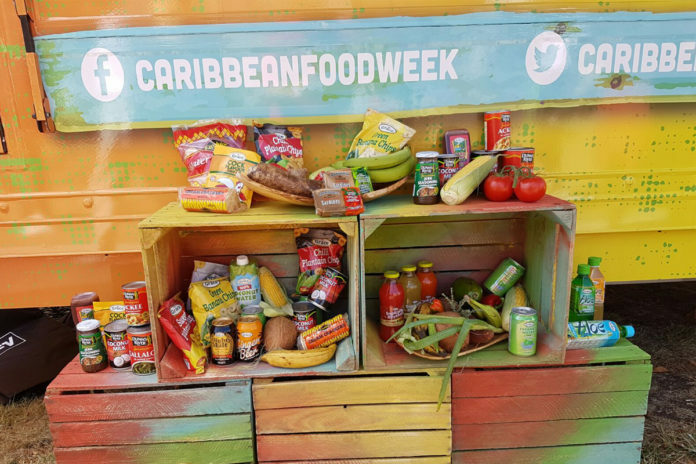 From ackees to coconut water, the Sainsbury’s take on Caribbean Food Week can be found at Enfield in the north, Chafford Hundred out east, Purley Way (Croydon) down south and – where else – Ladbroke Grove in the west.